After reading the pdf you should have become aware of a glaring omission: there is no specific reference to how 'space-ripping-technology' will enable mankind to circumvent space-time's time component. There is a simple explanation for this. When first I began working on this document the enormity of what I was saying: that I knew how to travel through time, overwhelmed me. Put simply: I lost my nerve. I will now do my best to make good on that omission. Here's a diagram: from the pdf, that you should be familiar with. As I explain in the text this diagram represents the Cosmos at different levels of scale: with the macro-cosmic Universe represented at the top and the micro-cosmic at the bottom. We'll begin at level one. This represents the 'space' outside (above) space-time: the 'space' that our Universe is, forever, expanding into. This is also where we are going: where we will always be going, because this is also our future. The down-scaling forces: that are centered on every single quantum entity that exists, originate in this region. But they do not come spiraling inward and downward only through space: they are also coming back at us through time. They are actually creating their own temporal dimensionality as they come sweeping inwards towards us. Now let's move on to level four. 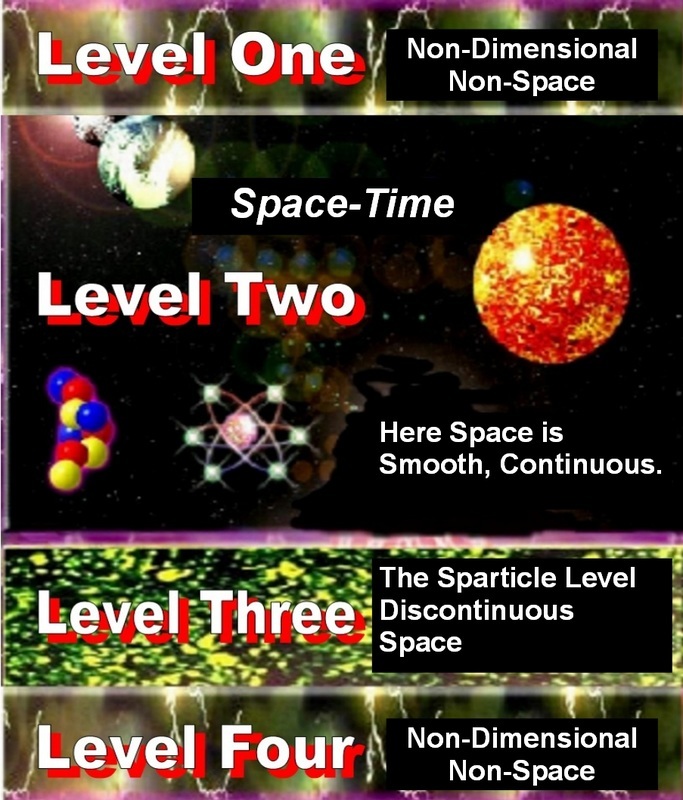 Level four represents the 'space' both within and below. But please don't let the diagram fool you here. To find this region look for it in the voids between between sub-atomic particles: in the spaces between quarks, bosons and mesons. This is where the up-scaling forces originate from. From where we – and everything else that exists – sprang into being. This is our past. From here up-scaling forces come sweeping upward and outward creating their own temporal dimensionality as they go: allowing them to move forwards through time, until they collide – head on – with the downscaling forces. And it is here, at this point, that the magic happens. So, when we eventually get around to building a star ship: perhaps in a century or so, equipped with space-ripping-technology, and the polarized plasma field surrounding the craft is turned on – what happens? Simple: a new universe, that contains only the craft and its occupants, is born. This new universe is totally disconnected from the Cosmos that gave birth to it. And now those that control the star ship also control the mini universe – that they themselves created – in which it resides. Now those occupants can go anywhere and, incredibly, 'anywhen' they like throughout the totality of space and time. We are made of the same stuff that our Universe is made of. Ergo, all the quantum entities that constitute us each reach out and encompass the Cosmos. This makes us all omnipresent. Furthermore, if we can reach out and touch it we can learn to know and understand everything about it. 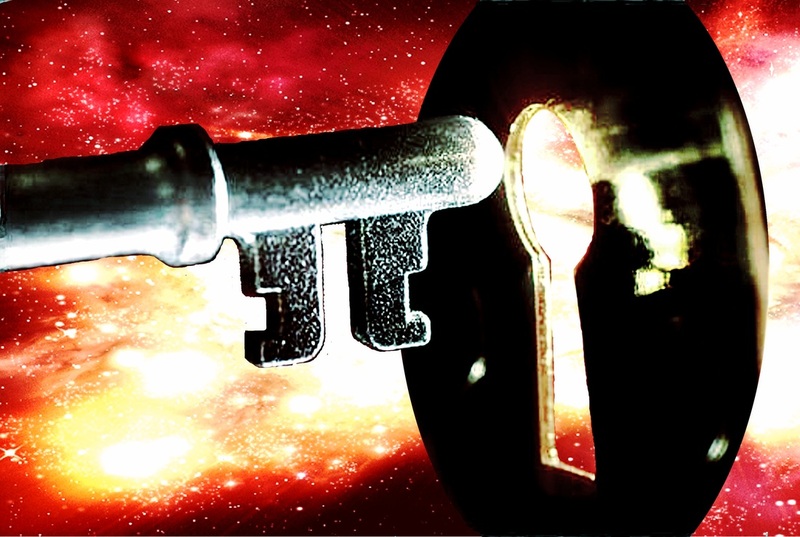 Does this mean that one day – if we survive long enough – we could also become omniscient? And if knowledge is – as it has been said – power then what would that mean? And, to cap it all, if we develop space-ripping-technology then we will become capable of creating our very own Universe. How god-like is that? Seriously, think about it. How god-like do you want to become?